Do you have a fun bike vacation planned? Need to fly somewhere with your bike? Shipping a bike to a friend or relative? 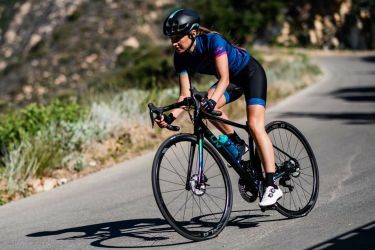 Packing and shipping your own bike will make you feel more confident knowing your bike is well padded and ready for the trip. If you fly with your bike often, it may make sense for you to buy a bike-specific soft or hard case. Soft cases are preferable, due to lower costs. EVOC bike bags are some of the most popular. Hard cases can be more protective, but that is also reflected in the cost. 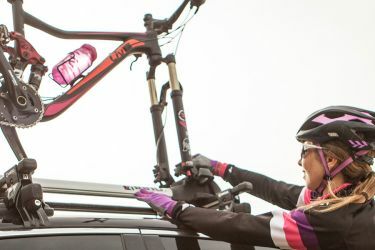 Thule offers bike boxes with built-in bike stands to help you put your bike together after you get where you are going. Regardless of if you use a bike-specific case or cardboard bike box, you should expect an extra oversize bike fee from the airlines. These fees generally range from $75- $200 each way, based on the airline. Check the small print to see what charges you should expect at the airport. 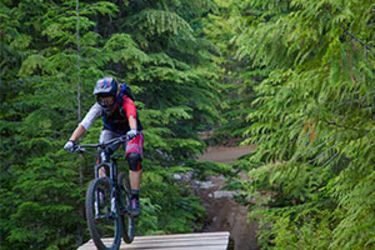 Here are some great tips from a baggage handler about flying with your bike. If you are shipping your bike, there is no other way than to pack it in a cardboard bike box. 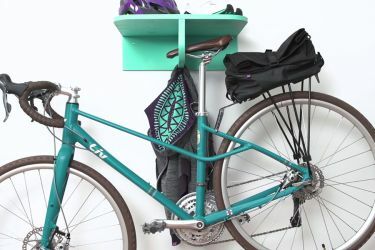 If you do not have an extra bike box lying around the house (who does? ), then make sure you get in contact with your local bike shop a few weeks before your trip. Thinking ahead is key. Your local bike shop may only get bike shipments once a week and they generally throw the bike boxes out as soon as they build the bikes. 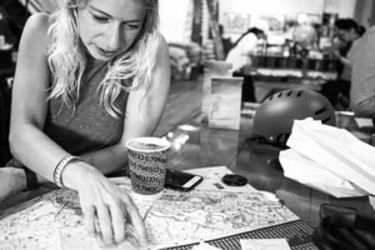 When you call your bike shop, tell them what kind of bike you intend to pack. 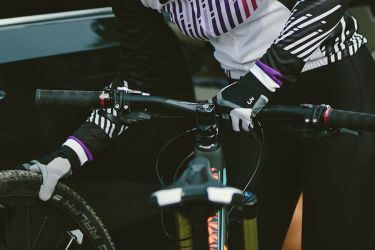 Mountain bike boxes are slightly larger than road bike boxes and if your bike is a larger size, it will require a bigger box as well. For many bike-specific cases, both the front and rear wheel of the bike will need to be removed in order for all the parts to fit in the box. For most cardboard bike boxes, you will only need to remove the front wheel. 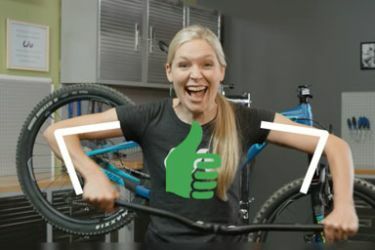 For our purposes, we will describe how to pack and ship a bike using a cardboard bike box but many of these tips are used for packing in hard and soft cases as well. First thing is first; shift your gears into the largest ring on the cassette. This will move the derailleur closer to the bike and away from the outer edge near the bike box. 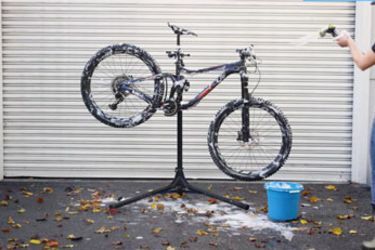 Accessories- If you have racks, fenders or a computer on your bike, make sure it is removed. In the video, we remove the junction box for our electronic shifters. 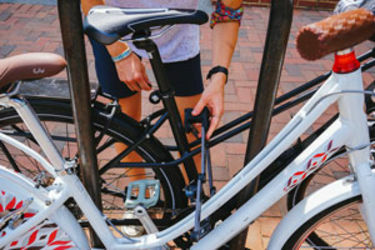 Front Wheel- If your bike has a quick-release axle, remove it completely from the wheel. If it is left in the wheel, the axle may cause damage to the bike box. 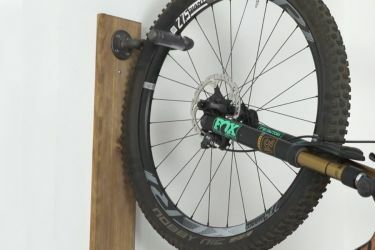 If your bike has a thru-axle, reinsert the axle into the fork. 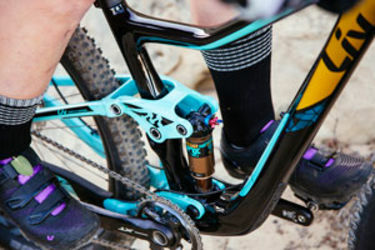 Handlebars- Remove the faceplate on the stem to free your bars from the frame. Replace faceplate and bolts once the handlebars are removed. Do not remove the stem. 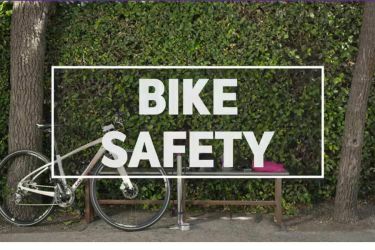 You should be able to leave the brake and shifter levers secured to the handlebar; however, if any cables are stretched unnaturally when you place the bike into the box, you may need to remove these from the bars. 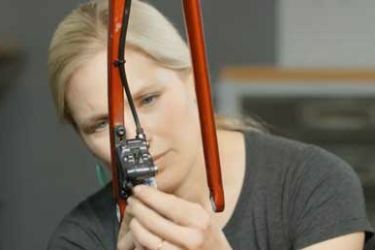 Saddle and Seat Post- Remove the seat post by loosening the bolt on the seat tube. 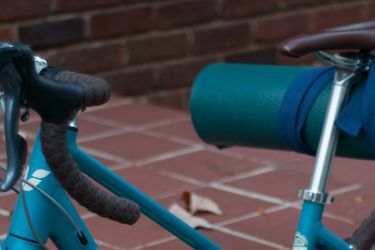 You should be able to leave the saddle attached to the seat post. PRO TIP: Before removing your seat post from the frame, mark your seat height with masking or electrical tape (you could do this with a marker as well, if you don't mind the mark on your post). When you get to your destination, there will be no guess work involved! Ideally, your local bike shop will hook you up with the same packing material that bikes are shipped with from the factory. 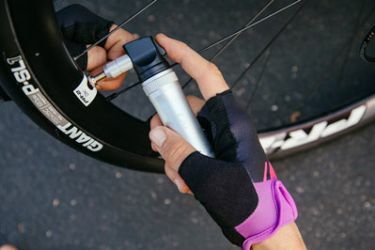 This includes foam strips cut to the length of your frame tubes, plastic fork protector to go in the place of your quick release axle, plastic hub protector plugs for your front wheel, plastic derailleur protector disc and sometimes even some choice pieces of bubble wrap or foam/plastic sheets. First, use your masking tape and foam/bubble wrap to cover as much of your frame, fork and components as possible. 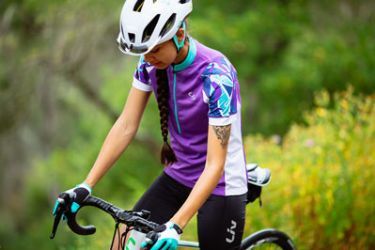 Pay special attention to your derailleur (especially if you do not have a plastic derailleur protector disc) and anything that is made of carbon. If you do not have a plastic fork protector from the bike shop, insert some stiff foam between the fork dropouts and tape it into place. Add padding to protect the handlebars. If you have drop bars, hook them around the top tube and secure with zip ties. You may be able to get away without using zip ties if you have straight bars. The goal is to get the bars into a position that makes the profile of the bike as slim as possible. 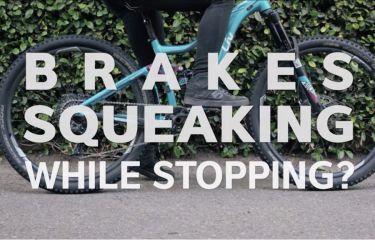 Place the front wheel on the opposite side of the bike from the handlebars and carefully feed the crank through the spokes of the front wheel. 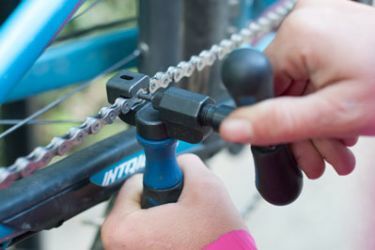 It will take a little wiggling to find a place where the crank can slide into the wheel. Make sure there is no metal-on-metal rubbing. Secure the wheel to the frame with zip ties, trying to keep the wheel as close to the frame as possible. When you are tightening the zip ties, make sure they are tight enough that the parts are secure, but not so tight that they will be hard to cut. Once everything is together, make sure no parts are moving and everything is well-padded. 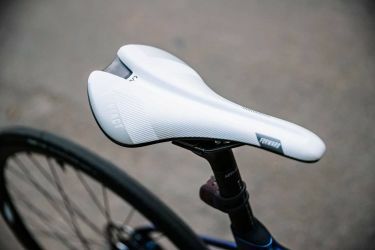 Add padding to the seat post and cover the seat (to protect the material). 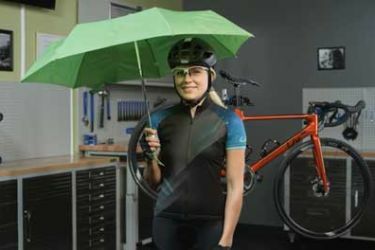 Place small parts (pedals, quick-release axle, etc) and any tools you may need to reassemble the bike into a small cardboard box or plastic bag. This will ensure no parts fall through the opening in your bike box and protect the frame. Insert the bike into the box. Pay close attention to any areas where the bike comes in contact with the box. You may need to add an extra layer of cardboard in these areas. If there is anything pointy, it could cause a puncture in the box, increasing the chances of damage. After the bike is inserted into the box, make sure there is no wiggle room. 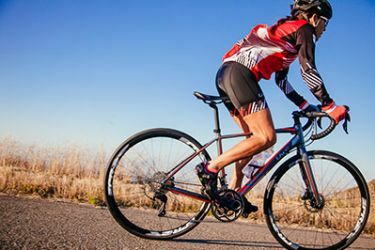 If your bike can move from side to side, that movement could cause damage to the bike. Add additional material, like rags, towels or bubble wrap, to the box. Keep the box as light as possible. Close the box and secure it with plenty of clear packing tape. Add additional tape around the handles on the box to prevent them from tearing. Adding additional tape to the bottom of the box is also a good idea as people tend to drag the boxes on the ground. And, although it might not make any difference, in BIG LETTERS write, “FRAGILE!” all over the box. You’re done! You can send your bike on its way, confident you did everything you could to make sure it arrives at its destination safely. 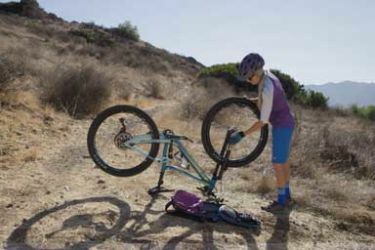 Do you have any bike packing tips? 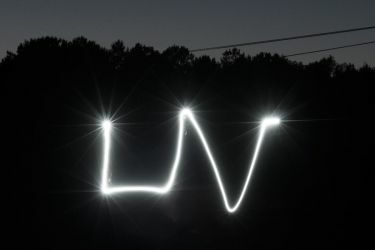 Share them with us @LivCycling!